Pound the beef between two sheets of waxed paper or plastic wrap until the beef is paper thin, being careful not to tear the meat. Cut into pieces that can be draped over one another. Carefully transfer 2 large pieces of meat to each of 6 individual serving plates. Evenly sprinkle arugula in the middle of each plate. Garnish the arugula evenly with the tomatoes, olives, walnuts and parmesan cheese. 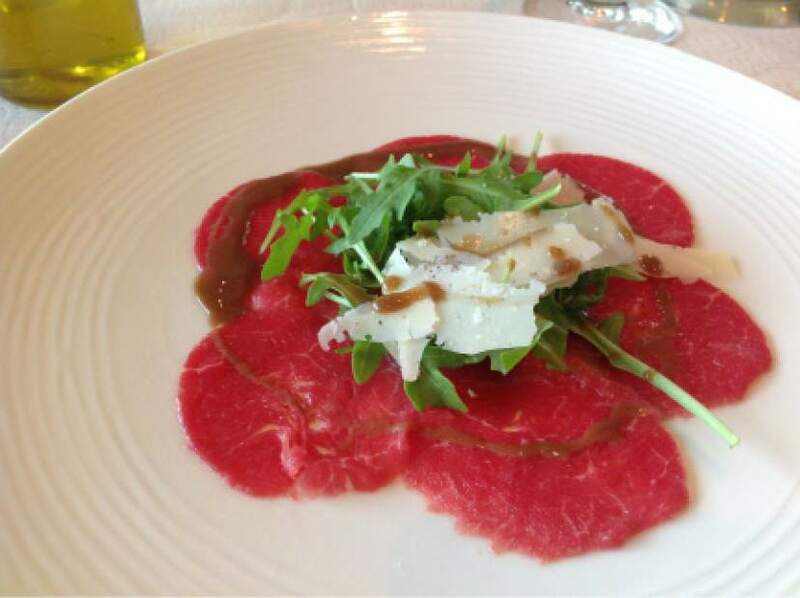 Drizzle the olive oil or vinaigrette over the arugula and beef, sprinkle pepper on top and serve immediately.